Batterham's Electrical Switchboard Services & Trading Pty Ltd (BESST) specialize in Industrial Electrical Engineering Design & Drafting services in a wide range of industries such as mining, process plants, industrial, building services, electrical power generation, abattoirs, ports, airports and oil & gas. BESST are Registered Professional Engineers (RPEQ) in the state of Queensland and we have worked with some of the largest international corporations on some of the biggest projects in Australia and around the world. With 40 years of experience, BESST is the company to meet your needs. Our electrical engineering services experts at Brisbane customize electrical engineering solutions specially to meet your requirements and the project in hand. Our extensive experience in design and consultancy in the area of substations, power stations and transmission and distribution systems including electrical and hazardous area works makes BESST an ideal choice for a wide range of projects. All the above mentioned services can be provided separately or as part of a complete package. 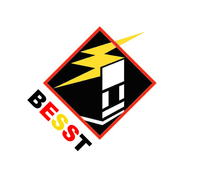 The mission of BESST is to enable best-practice in the application of technology for the benefit of the asset builders, operators and owners of electrical power generation systems. BESST will be recognised for continuous improvement in electrical and control systems through advanced engineering and by bringing innovative technologies to market. Partnership: partnering with both clients and suppliers to promote synergy through communication. Innovation: openness to identifying, nurturing, evaluating and applying new technologies.